Sometimes when you’ve read a book enough times it’s hard to notice anything new in it; or even anything at all. That’s what’s so nice about Martin and Wright’s new commentary on The Gospel of John. By reading John’s gospel slowly they manage to bring a old book to life. In addition to a straightforward commentary that restates the gospel account in other words, Martin and Wright include side-bars explaining how concepts such as “The Word” or “The Son of Man” are used elsewhere in the Bible, discussions of what John means when he says “The Jews,” and excerpts by great Christian writers from Origen to Theresa of Avila to Pope Francis who have commented on these same passages in other contexts. Sometimes the contributions of this “Living Tradition” – as Martin and Wright call it – get right to the heart of the matter. 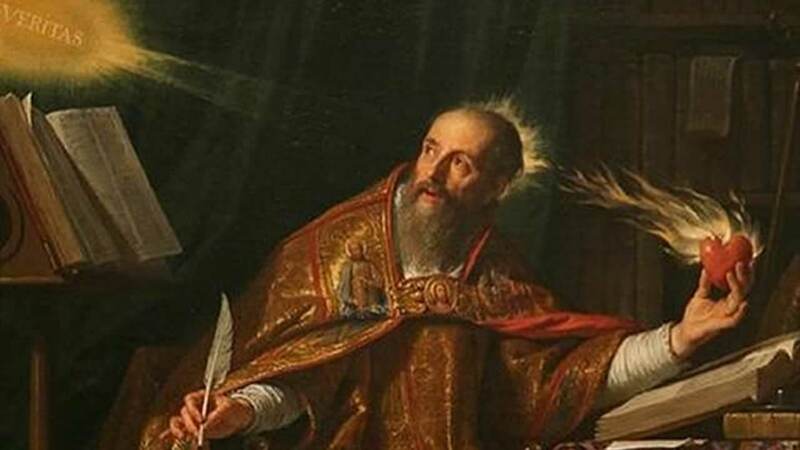 When discussing whether people are solved by God’s irresistible call or by their own choice, for example, Augustine argues: “Do not think that you are drawn unwillingly; the mind is also drawn by love. … [It] may be said to us, “How do I believe by will, if I am drawn?” I say, it is not enough by will; you are also drawn by pleasure.” Including these sorts of gems within the sort of popular and accessible commentary that Martin and Wright offer adds a whole new dimension to the format of a traditional commentary. The first thing that struck me when reading this book is that The Gospel of John is not just a biography of Jesus but that it preaches, well, the gospel. Time and time again the evangelist challenges us to accept the good news that Jesus brings. After the opening hymn tells us that the Word become flesh has “dwelt” (Gk. skenoo) among us just as God “dwelt” (LXX skene) with His people in the Tabernacle and in Solomon’s temple, John the Baptist appears, testifying to Jesus’ identity as the Messiah (Jn 1:29-34). Then Jesus arrives, calling first his disciples (Jn 1:35-51), then Nicodemus, the good Jew (Jn 3:1-21), the Samaritan woman at the well (Jn 4:1-42), and finally the gentile official (Jn 4:43-54) as His offer of salvation spreads ever further afield. Although Jesus ministers to Jews throughout His public ministry, it is only when “some Greeks” come seeking Him out that He declares that His “hour has come” (Jn 12:23) and sets out for the cross. John’s gospel is also full of Christological and Trinitarian statements. 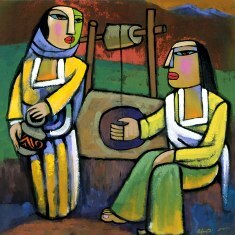 Jesus tells the Samaritan woman who is awaiting the Messiah that “I am he, the one who is speaking with you” (Jn 4:26). Martin and Wright comment that “The expression “I am he” renders a Greek phrase (ego eimi) that is literally “I am.” Jesus is not only acknowledging his messiahship, he is also identifying himself with the divine name.” Jesus uses the same phrase when He walks on the water towards the disciples and tells them “It is I” (Jn 6:20). Martin and Wright note that “whereas in the Synoptics the disciples are frightened because they think they see a “ghost” (Matt 14:26, Mark 6:49), in John there is no such suggestion. The disciples know exactly who and what they see, and this sight provokes fear.” Jesus’ next words, “Do not be afraid,” are totally appropriate because this is what God always says whenever He appears to humans. People respond similarly to Jesus when the armed crowd looks for him in the garden of Gethsemane: “When He said to them ‘I AM,’ they turned away and fell to the ground.” (Jn 18:6). Discussions about Jesus’ divinity continue when He is arguing about His identity with the Pharisees and needs two witnesses to back up His statements (as required by Jewish law). Jesus says, “I testify on my behalf and so does the Father who sent me” (Jn 8:18), telling us that He and His Father are two distinct persons. 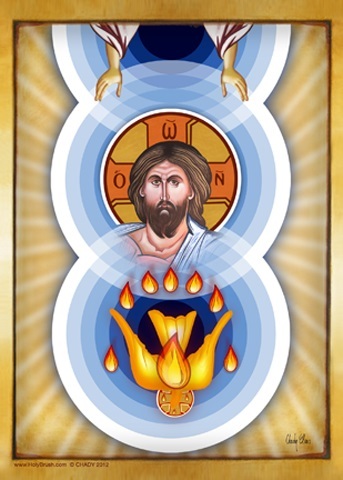 But then in the very next verse He states that “If you knew me, you would know my Father also” (Jn 8:19), which is a striking claim about the unity of the Father and the Son. Written at a much later date than the synoptics, John’s gospel was already starting to wrestle with some of the Trinitarian formulations that would obsess the Church for the next couple of hundred years, and Jesus makes these sorts of claims about Himself again (10:31) and again and again. Whereas the first half of the gospel is characterized by the spread of light wherever Jesus goes, darkness dominates the second half. 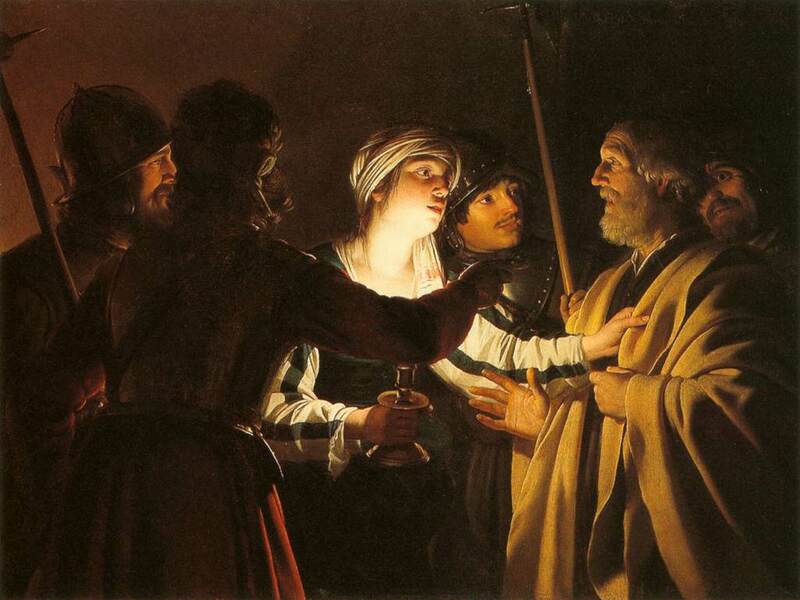 Judas goes out into the night, a crowd arrests Jesus carrying torches, because they are living in spiritual darkness. While Jesus is being interrogated by Annas, the father-in-law of the high priest, Peter goes into the courtyard. Martin and Wright comment that by joining the group by the fire, “Peter put himself in a difficult situation” by mingling with the enemies of His master, and this leads him directly into denying Christ. We find ourselves in these sorts of situations far too often, and although we, like His captors, share “the gravest responsibility for the torments inflicted upon Jesus,” we too can experience the same mercy that Peter did. The gospel ends with Jesus, who is the Shepherd of God’s people par excellence, inviting Peter to become a shepherd too. Martin and Wright conclude: “No matter how serious or how many sins we have committed (Peter’s were very serious), the love and mercy of Jesus is infinitely greater. He seeks us out and invites us to return to him. This scene should give us confidence that when we seek reconciliation with Jesus, he forgives us completely and forever.” And that is good news indeed! I would like to thank NetGalley for providing me with a review copy of this eBook.